This is my favorite way to make refried beans. This recipe only uses 3 ingredients, but they are so flavorful and delicious. Are you ready for some big flavor? 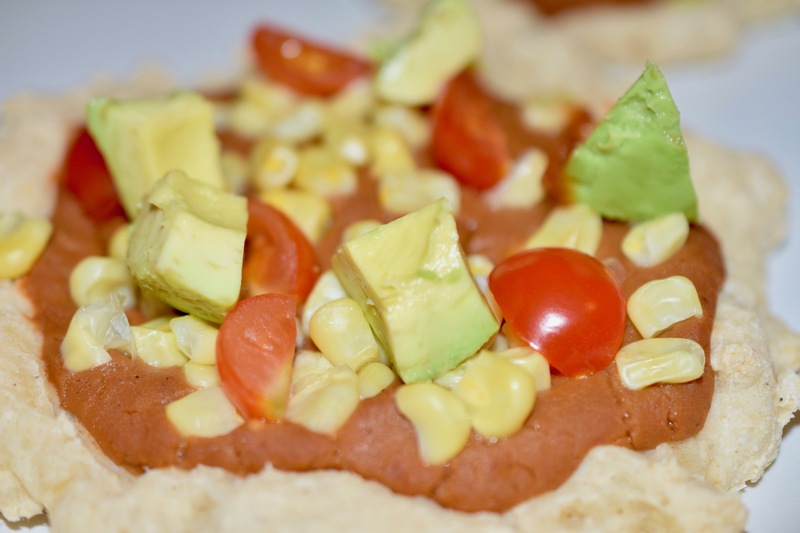 You can use this recipe for tostadas, enchiladas or even a taco pizza – YUM! Add the the ingredients to a small saucepan. Cook over medium heat stirring frequently, until heated through. Use as desired – enchiladas, tacos, burritos, and whatever else you can dream up. Wish I could find a can of refried beans without a ton of salt added in. It can be difficult. I don’t remember which ones I used, sorry.